A non-Duggar family molestation victim is preparing to file a civil suit against Josh Duggar, sources tell In Touch magazine exclusively in the new issue on newsstands today. The shocking development means that Josh and his parents Jim Bob and Michelle could be forced to give depositions and testify about Josh’s molestation scandal. 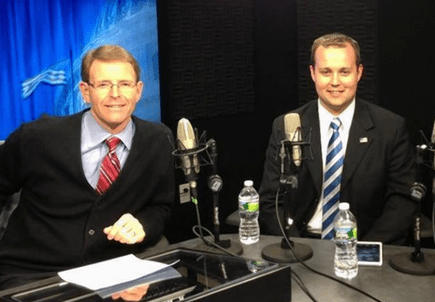 The Duggars likely will have to answer every question as they will not be able to invoke their Fifth Amendment right against self-incrimination because the criminal statute of limitations has expired. The family is once again under investigation the Department of Human Services and the fate of their reality show 19 Kids and Counting is still undecided. The impending lawsuit sets up a nightmare scenario for TLC: if the network brings back 19 Kids and Counting, the show could be on the air while the Duggars are fighting a lawsuit that exposes all of Josh’s secrets surrounding the molestations and how the family covered it up. Fortunately under Arkansas law, civil suits are allowed even when the statute of limitations runs out. Let’s all hope that a shitload of dirt is revealed. I expect these perverts will try to settle out of court. TLC should be ashamed for not canceling the program yet. What in the hell are they waiting for?